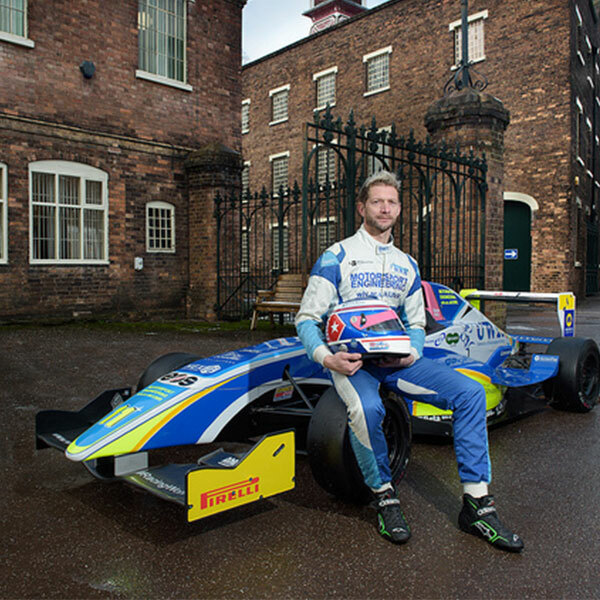 The University of Wolverhampton’s Formula 3 racing car will take centre stage at an exciting interactive weekend event being hosted by the Ironbridge Gorge Museums. The Museum is building links with the University by engineering a new learning partnership focused on promoting Science, Technology, Engineering and Mathematics (STEM) in the region. The joint initiative aims to bridge the gap between industry and education to inspire the future generation of engineers and scientists. The weekend events will take place on Saturday 9th and Sunday 10th March 2019 at Enginuity in Coalbrookdale with the University running four interactive sessions throughout the weekend focused around engineering, racing and science. There will be fun and hands-on activities for visitors of all ages to enjoy including having a go at changing a wheel on the F3 car, chatting to the UWR team students and a real race driver and ‘virtually’ drive a race car on the University simulator. As well as the spectacular Formula 3 racing car, students will be showcasing two Morgan cars, their Formula Student race car and a Renault race car. The Race Team will be supported at the event by UWR sponsor, RS Components with their Titan II STEM vehicle - a 35-tonne truck which features technologies such as RS’ DesignSpark platform, Raspberry Pi, 3D printing, robotics, Internet of Things and thermal imaging – as well as virtual reality (VR) and augmented reality (AR) technology. The University’s wider STEM team will be unravelling the mystery of science by encouraging audience participation and interaction through physical demonstrations and showing science off through performance, theatre, illusions and mind tricks. Karen Davies, Director of Museum Development at the Ironbridge Gorge Museums said: “We’re delighted to be working with the University of Wolverhampton to raise the profile of science, engineering and technology in the region. Dr Syed Hasan, Head of the School of Engineering at the University’s Telford Innovation Campus which has recently benefited from a £10 million investment in engineering facilities, said: “We hope that this will be the first in a series of events designed to capture the imagination of visitors both young and old. Professor Nazira Karodia, Dean of the Faculty of Science and Engineering at the University, said: “We have invested over £100 million in new facilities for our Science and Engineering Faculty and interest in our STEM courses is increasing every year. “Our aim is to make science less highbrow by taking it into the heart of our community and performing it in a way that people can easily understand. Tickets cost £5 for children & full-time students and £7 for adults includes entrance to Enginuity and a range of fun hands-on STEM activities for all ages. Tickets for this event can be booked at https://www.ironbridge.org.uk/events/family-events/pit-stop/ or bought on the day. Visitors will get the chance to take part in a raffle to win a Race Day Experience at a Formula 3 race of their choice during the 2019 season for a family of 4 (2 adults and 2 children).